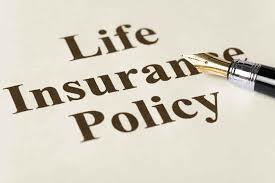 After starting policy the starting three years in a life insurance claims contract between the life insurance company and the policyholder is an important milestone. While the rules allow insurers to repudiate (or reject) death claims within the initial three years of a life insurance policy on the ground of misrepresentation or suppression of a material fact, their hands are tied for repudiation of claims, if a death happens after this period. However, it is important for a policyholder not to take shelter under this 3-year clause as it might be a lengthy claim settlement process for the surviving family members if the case drags into the courts. Life insurance contracts are based upon the legal principle of ‘uberrimae fides’ (utmost good faith) and hence, the potential buyer of a life insurance policy is expected to disclose all material information honestly and accurately. At the time of applying for insurance, based on the information provided, the underwriters of the insurance companies see whether the Individual buyer can be provided any coverage or not. In the absence of any such factual information, unhealthy lives may be covered posing a danger to the entire group of lives insured and may even violate contractual obligations. In case a claim rises during the policy period, the approach an insurer takes will largely depend on how long the policy has run. The regulation as per Section 45 of the Insurance Act allows insurers for calling a policy in question on the ground of misrepresentation or suppression of a material fact not amounting to fraud only within the initial three years of the policy. However, regardless of whether a claim has arisen or not and when it is intimated, once this period of 3 years is over, the policy cannot be called in question. The insurers are allowed to call in question a policy only within 3 years even if there is no death claim. a decision to repudiate the policy on the ground of misrepresentation or suppression of the material fact made by the policyholder, and the premiums collected from the date of issuance till the date of repudiation shall be refunded. “Section 45(4) speaks about any incorrect statements or failure to disclose on the grounds other than fraud. Under such circumstances, by virtue of second proviso to section 45(4), refund of premiums have been advised since it is a case of unintentional incorrect statements or non-disclosure,”. However, if a fraud is established by the insurer before the end of three years, even the premium is forfeited. “Suppression of material facts or misstatements on the grounds of fraud are covered under section 45(2) – where fraud is established, the claim can be denied and premiums paid can be forfeited,” . reading of the section, the right to call for policy “for any reason whatsoever” curtails all rights of the life insurer. However, the reality is that there could be fraudulent claims which can be reported even after 3 years, and the hands of a life insurer are tied after a period of 3 years,” . Mentioning all medical and health-related information is an important disclosure made by the policyholder in the application form. Here’s an example of a fraudulent application. “The life assured does not intentionally disclose about his pre-existing illness for which treatment was taken in a hospital for a period of say, 5 years, before taking the policy and which was not disclosed in the proposal form at the time of taking the policy. If the life insurer had known about the pre-existing illness, the life insurer could have rejected the proposal itself and policy would not have been issued. This is an example of denial on fraudulent grounds,”. Irrespective of the 3-year incontestability clause in favor of the policyholders, it is better to disclose all material facts while purchasing life insurance. Facts shall not be considered material unless it has a direct bearing on the risk undertaken by the insurer. The onus is on an insurance company to show that if the insurer had been aware of the said fact, no life insurance policy would have been issued to the insured. Make sure you have not just read the terms and conditions of the policy but also have filled up the application form yourself. “Once you sign the proposal form, you are deemed to have read all the questions and answers filled therein. This is the presumption in law. You cannot take a defense saying that I did not read the proposal form when I signed it,” . It is always better to disclose all medical history including family history and even pay ‘loaded’ premium if any, than to leave the surviving family members at bay in case of a claim. This entry was posted in Finance and tagged Investment, Section 80C.